Increase Leads & Sales From Your Existing Marketing Efforts By Offering High Perceived Value Incentives To Your Customers! Your Customers Just Pay Taxes! 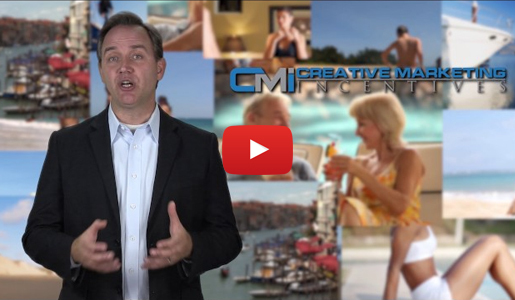 You now have a reason to contact all of your past clients to remind them about your products & services with a 7 Night Resort Getaway to motivate them to buy again! Now that you have generated a new lead go ahead and offer a higher valued incentive like our Airfare Plus Hotel Getaway persuade them to purchase today vs tomorrow! Offer a $100 Wine Voucher or even our Two Night Bahama Cruise to entice your customers to send you a referral and then watch your referral business soar! Download PDF certificates to print and physically hand them out or mail them to your customers. Email E-Certificates to your customers individually and in bulk with just one click. Install our HTML web banners on the thank you pages of your website to automate distribution of our incentives and if you are tech savvy you can integrate our NEW API too! Send certificates through text messaging with just one click with our new SMS feature with no per sms fees! We help you by providing full color, professionally designed flyers & posters for each incentive that you can get printed at your local print shop or any online printing company. We also provide you with customer appreciation letter templates and warm lead letter templates as well as proven incentive marketing tips and strategies to help you get the most from your promotional marketing campaigns. Separate Redemption Websites with Online Reservation Systems. First and foremost we're a marketing company so we want to protect the integrity of your promotions. We allow you to brand the certificates with your company info. On every certificate there is a “Compliments Of” area where we allow you to put up to 3 lines of text and a logo. 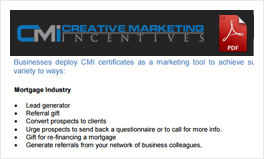 On the flip side of that, we don’t advertise CMI anywhere on the certificates or on our redemption websites because we don’t want your customers to find out how much you paid for them. The whole magic of our program is the difference between the perceived value that your customers see and what it’s actually costing you. It’s very important for you to understand how we are able to do this. First off, hotels and resorts are rarely full but they are always open and still have their fixed costs and always have unused rooms available. So what they do is hook up with marketing companies like us to help them fill up their otherwise empty rooms that they end up turning into additional revenue from other parts of their property like their in-house restaurants, the bar, the casino, room service, the spa or even an extra day stay. They’re actually doing it for some of the same reasons why you would be using our certificates, to increase their repeat and referral business. They know that if they show your customers a good time while they’re there, they’ll be more likely to tell their friends and family about the great time they had and will be more likely to book with the property in the future as a regular paying customer. We are easy to contact and we always answer our phone during business hours. We even have a 24-hour live answering service that takes our calls to ensure we never miss a call, just in case. Your customers are our top priority so we facilitate them all the way from redemption to fulfillment to ensure a seamless end user experience. Keep in mind that we are the manufacturer as well as the fulfillment company for all of our incentives. When dealing with us you are dealing direct with the manufacturer and not a middle man or 3rd party vendor and the same goes for your customers! 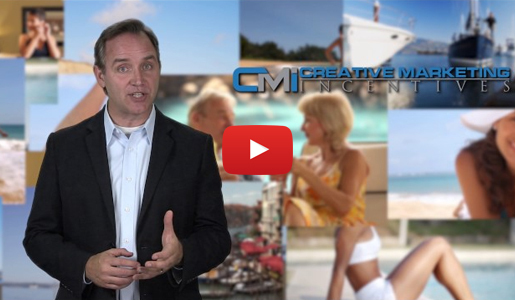 Incentive marketing has succeeded for decades as a powerful promotional tool. However, until CMI started in 2005, startup costs proved prohibitive to all but the rich Fortune 500 companies. 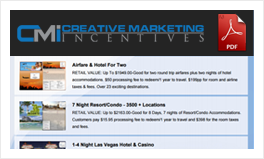 Through the Internet, Creative Marketing Incentive Group, Inc. has pioneered an affordable delivery method, allowing businesses to enhance marketing promotions through top quality incentives. 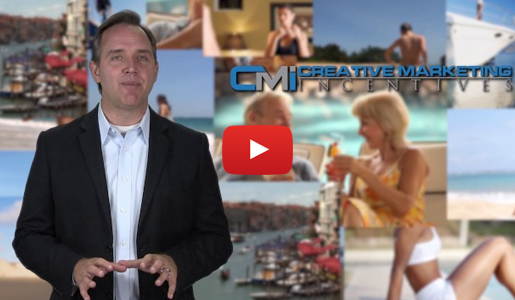 While your business remains an exclusive member with Creative Marketing Incentive Group, Inc., your customers will take advantage of our fantastic incentives. 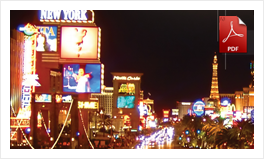 Your clients will enjoy outstanding getaways and exceptional service while participating in our program. Our promotions and quality customer service boost your business, building long-term relationships with loyal customers and employees. We were created in 2005 and legally incorporated in 2006. In business for over 12 years. We've enrolled more than 13,000 businesses into our program and enroll new businesses every day. Our clients are responsible for distributing over 3+ million certificates to their customers and we have an A+ rating with the BBB. We’re also a licensed seller of travel which means we fulfill all of our incentives in house. We also participate in The Travel Consumer Restitution Corporation Fund (TCRC), which was created to protect consumers from dishonest travel companies. I began using your program nearly two years ago to boost lead generation efforts for my company as well as my client's companies. Since that time, I have experienced a 63% increase in lead captures. And, even more importantly, conversion rates have increased as well. I believe this is due to my being able to provide a valuable incentive to the new leads, which helps covert them to paying customers. 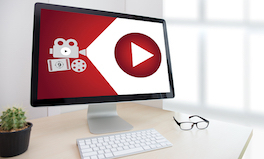 The ability to offer unlimited certificates is perhaps the best feature of the program, but the automation and website interface are also wonderful. 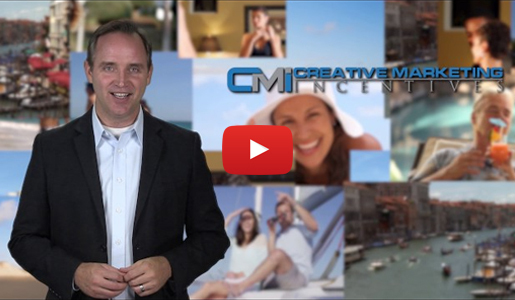 I recommend CMI to anyone looking for an effective marketing tool to help expand their business and increase their income. Incentives To Bring In More Customers? 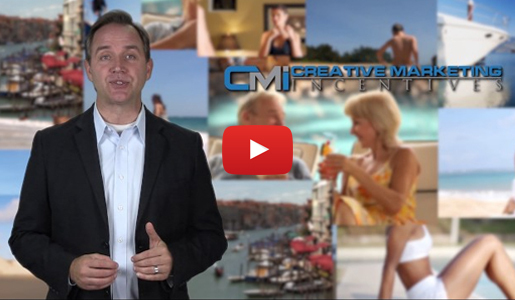 Earn 40% RESIDUAL COMMISSIONS as an AFFILIATE!